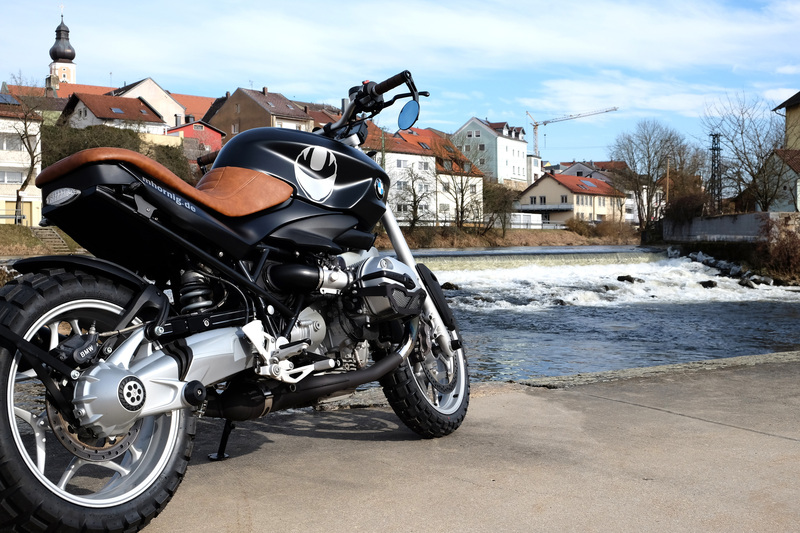 After our successful Scrambler conversions of the last years, we were searching for a new project in winter 2017/2018 - and we found a BMW R1200R (construction year 2006). 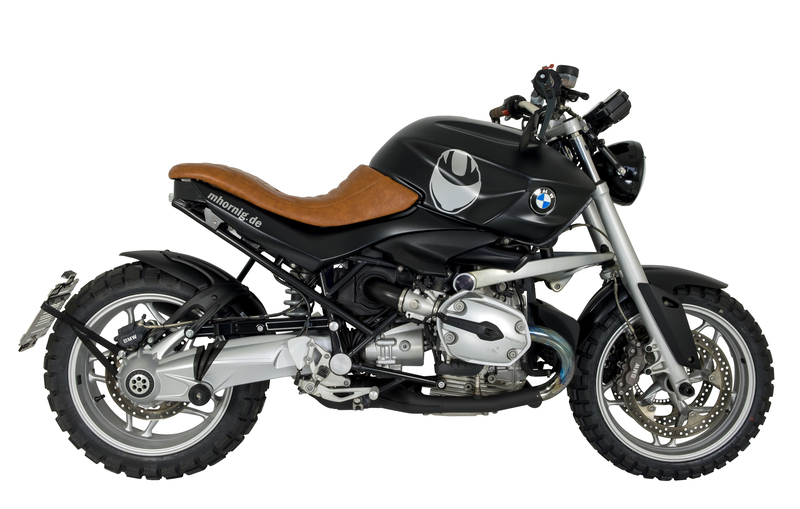 Our goal was to make the final result of the conversion look considerably much more stylish and fancy than the original motorcycle. 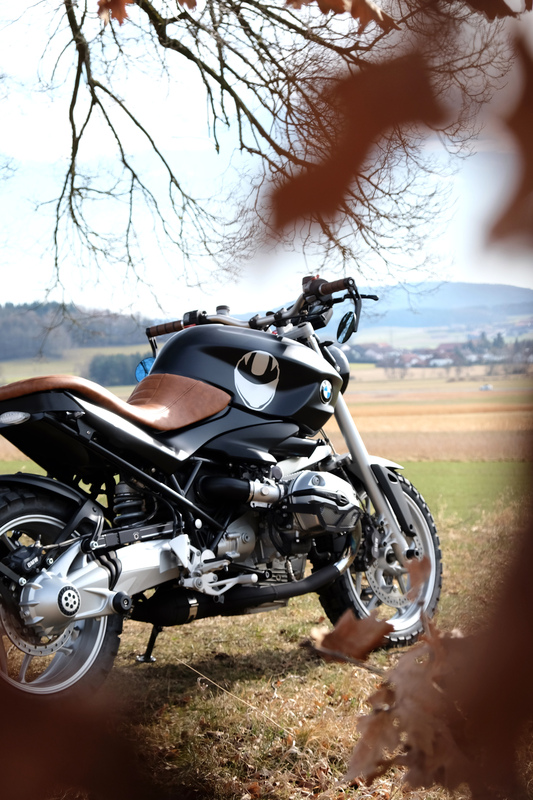 First, we trimmed the rear frame of the R1200R significantly and converted the seat of the former double seater into a trendy single seat. 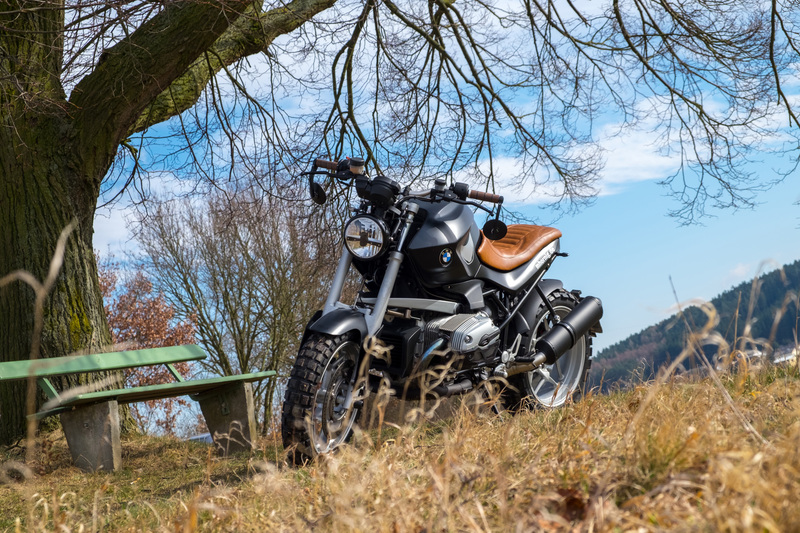 The seat of our R1200R is now covered by cognac-coloured leather and a quilt design with colour-matched seams gives the seat its particular, unique appearance. 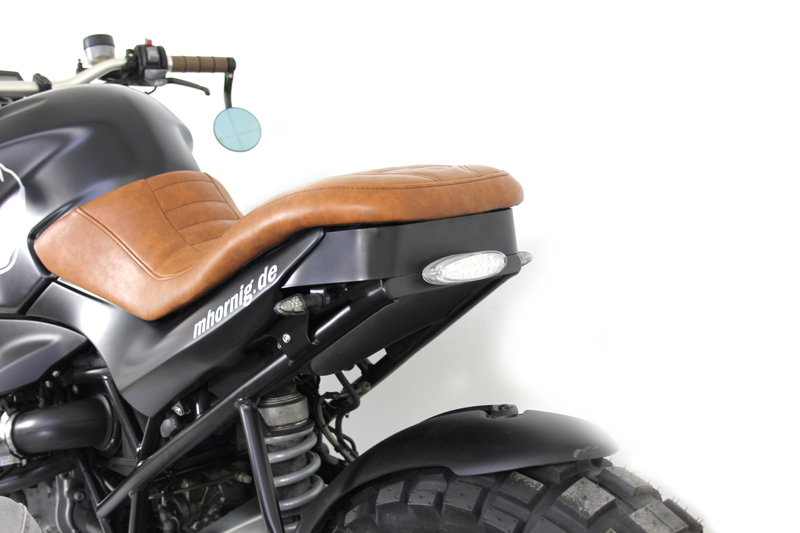 The mat black paintwork at the tank, the side fairings and the front mudguard presents an attractive contrast to the seat and is made perfect by our silver helmet logo and a silver Hornig writing. 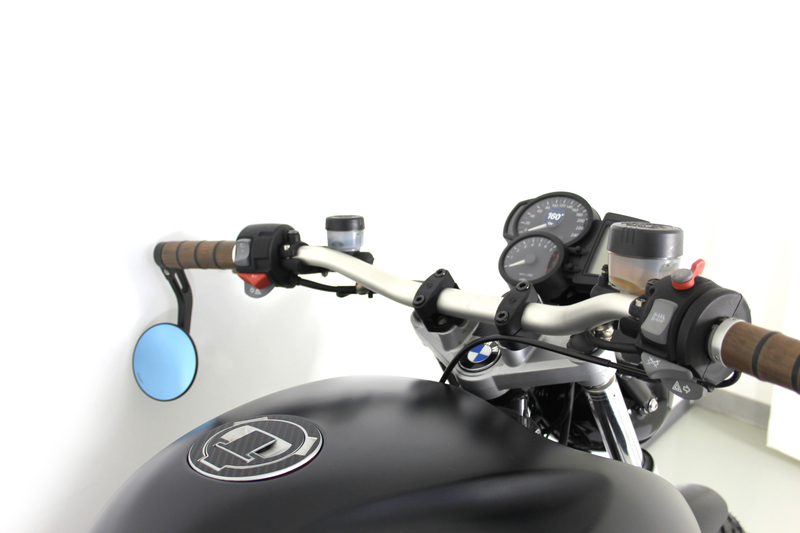 Because of the complete reconstruction of the rear part of the motorcycle, we manufactured particular indicator supports where we then mounted new Mini indicators. Moreover, we installed a clear Mini LED tail light on the shortened rear frame. 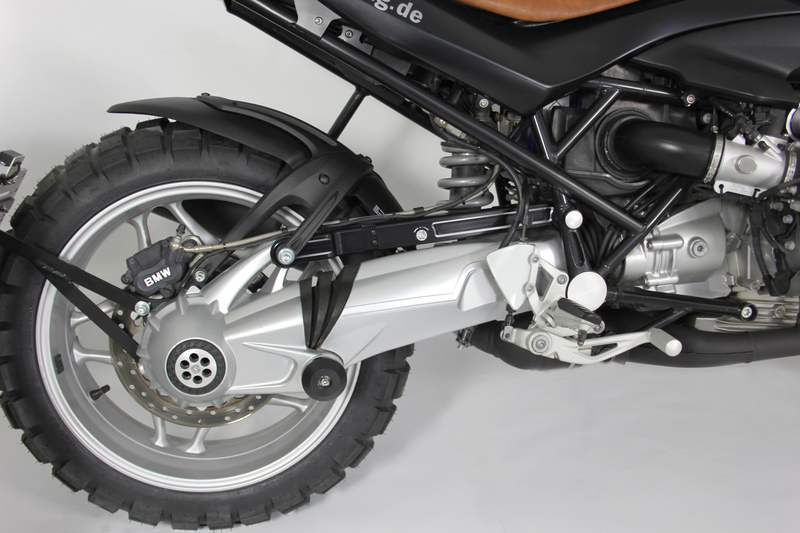 A black metal cover, which gives a clean look to our new rear, is used to complete the new rear frame part of the bike and an adjustable paralever strut raises the rear of our Scrambler. 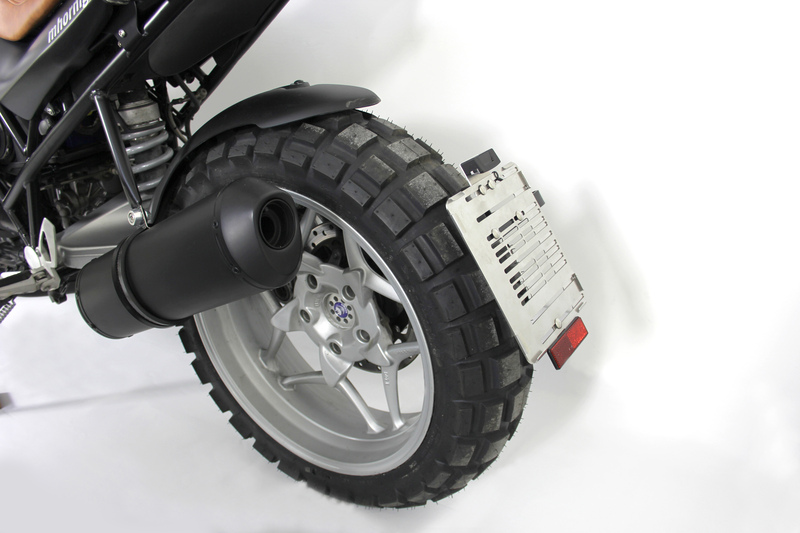 An ABS mudguard for the rear wheel protects the rider and the motorcycle against splash water and stone chips and an individually made number plate support lowers the position of our adjustable licence plate bracket and the number plate significantly compared to their original position. Our silver anodized rear wheel centre cover embellishes the rear wheel and our cardan crash protector avoids cardan damages. 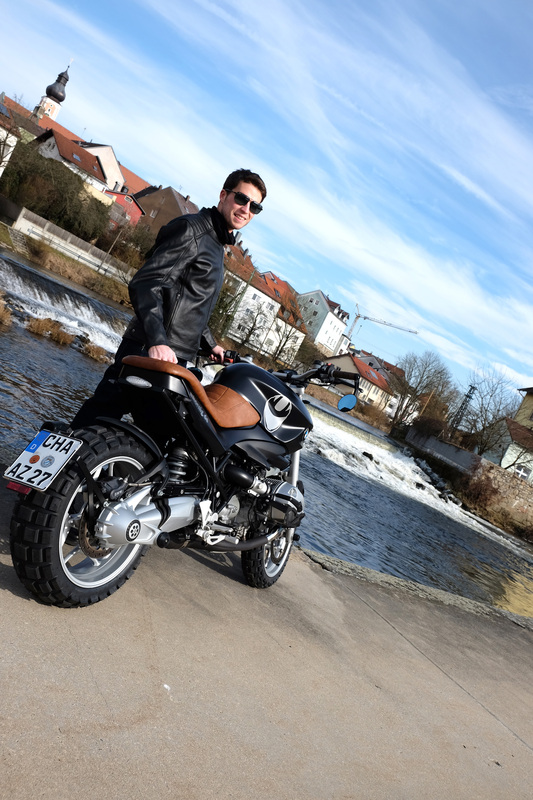 We also made some modifications at the front of our R1200R. 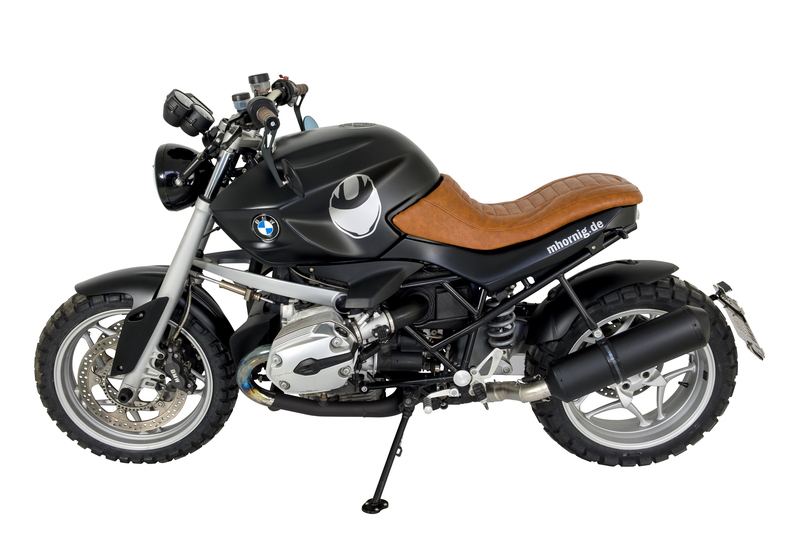 We worked over the original front mudguard and narrowed it slightly so that it fits better to the look of Naked Bike. The original headlight was replaced by an LED headlight for which we constructed a holder where we also installed the new Mini indicators. The original speedometer was equipped with a new holder as well. 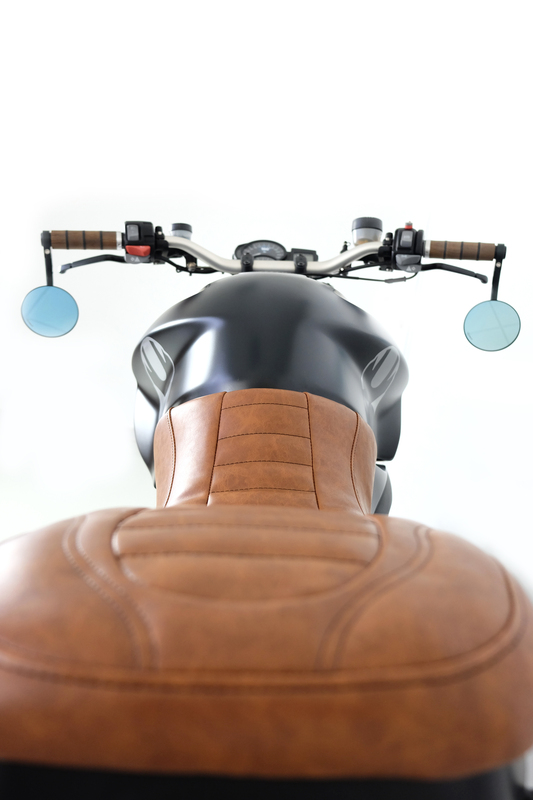 Our fork crash protectors protect the fork of the motorcycle in the case of a crash and our dash pad with Carbon look saves the triple clamp from scratches caused by keys. 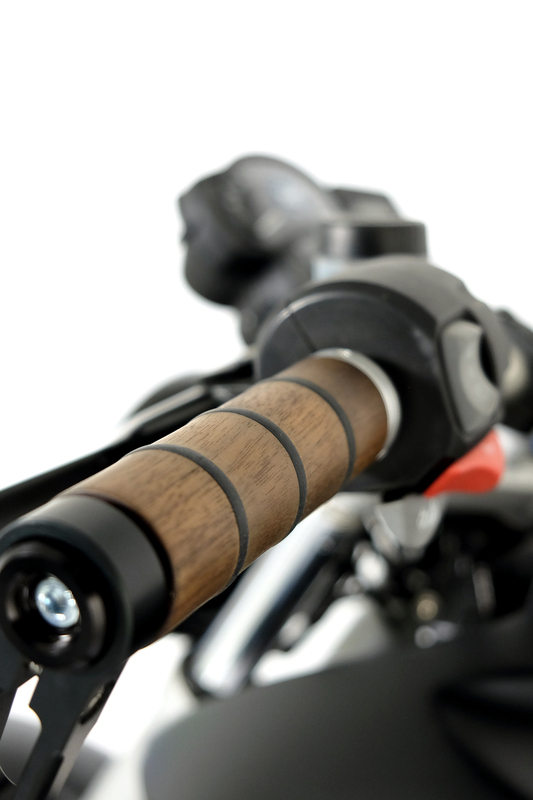 We replaced the original handlebar by a Magura handlebar where we mounted fancy wooden grips and new rear mirrors. 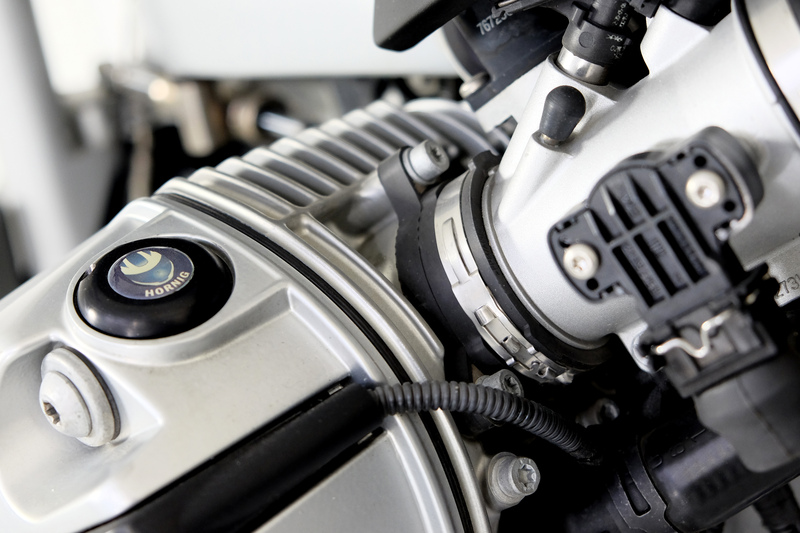 To protect the cylinders, we installed our black engine covers and our petrol cap pad in Carbon look avoids or covers scratches at the petrol cap. 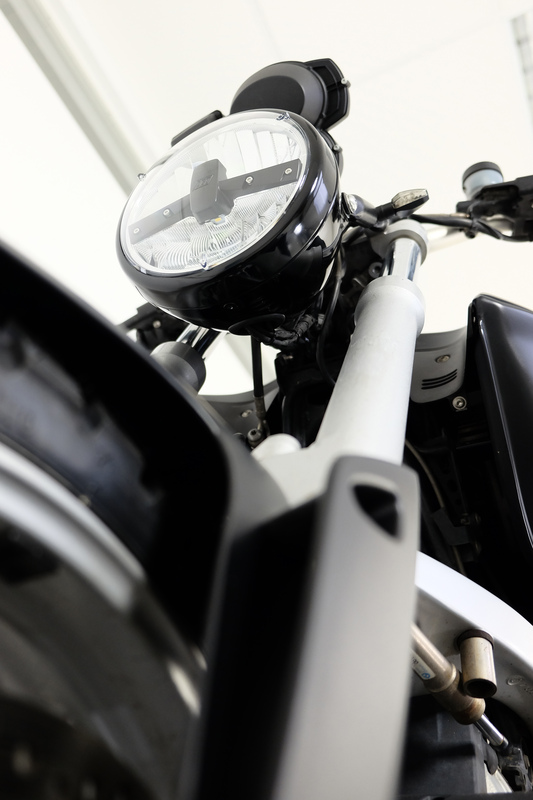 Our side stand foot enlargement guarantees a secure stand of the motorcycle and our black oil filler plug with emblem creates another small visual highlight. In addition, we mounted our shift lever and brake lever extensions to give a better surefootedness to the rider when shifting or braking. 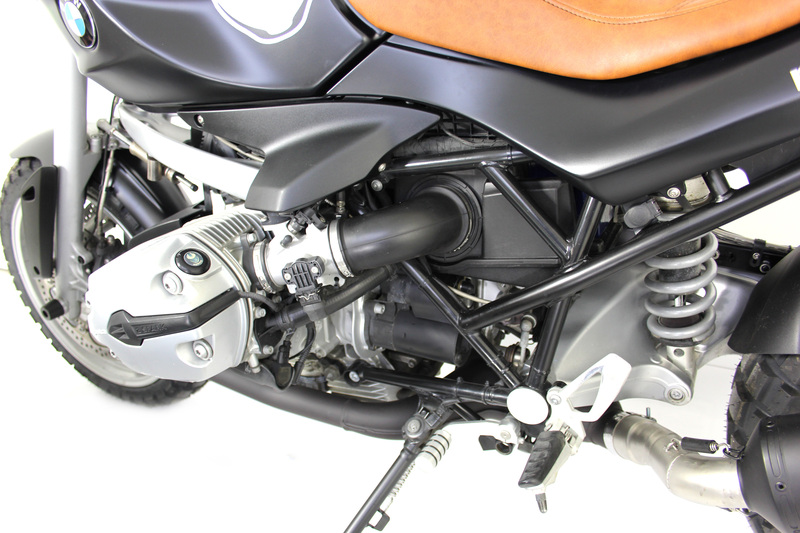 Since we removed the passenger foot pegs and the original exhaust holder when we trimmed the rear frame, we manufactured a special exhaust support and mounted a black, short GPR exhaust instead of the original silencer. 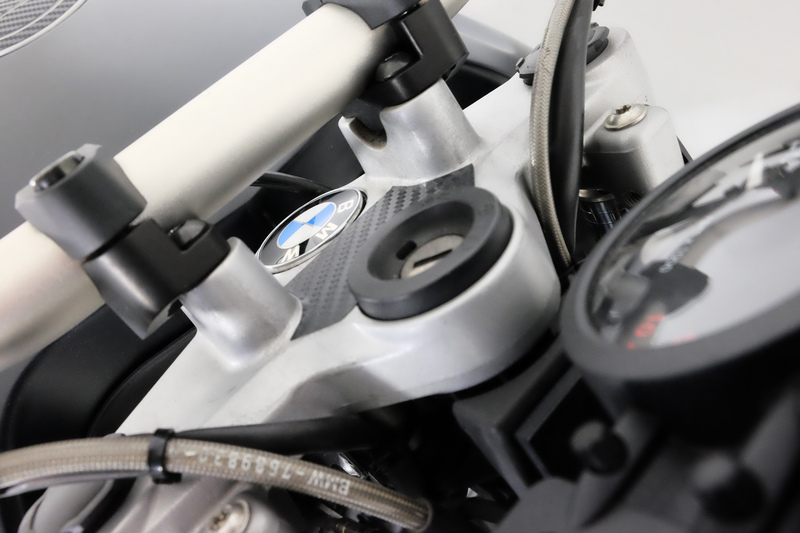 The manifolds of the motorcycle were varnished in black and the heel guard of the R1200R was equipped with a silver heel guard pad. To further improve the look of the bike, we removed the black suspension cover and added various silver anodized aluminium parts, like for example frame covers, telelever end caps and swing arm pivot covers, which seal the open holes in the frame. 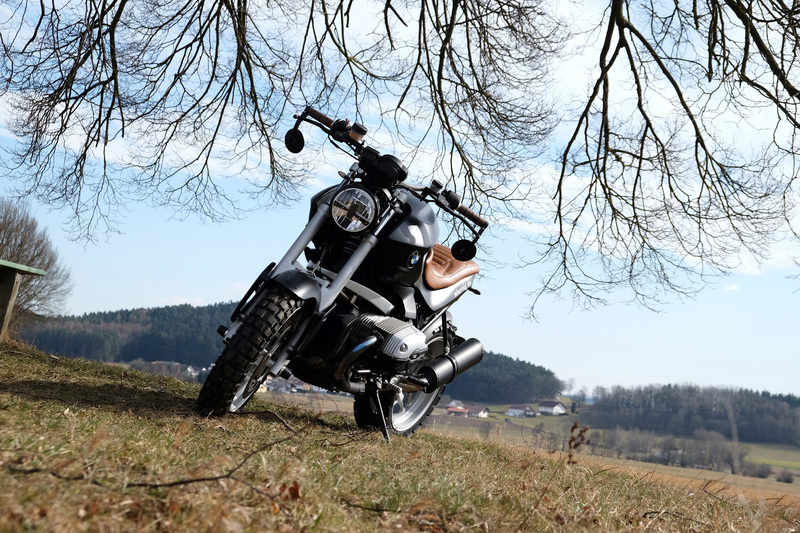 The Scrambler look is completed by tyres with lug tread (Continental; 120/70-17-M/C58QTL, 180/55-17M/C73QTL, maximum speed 160 km/h). The vehicle and all parts we mounted onto it were examined by German TÜV and were said to be roadworthy. 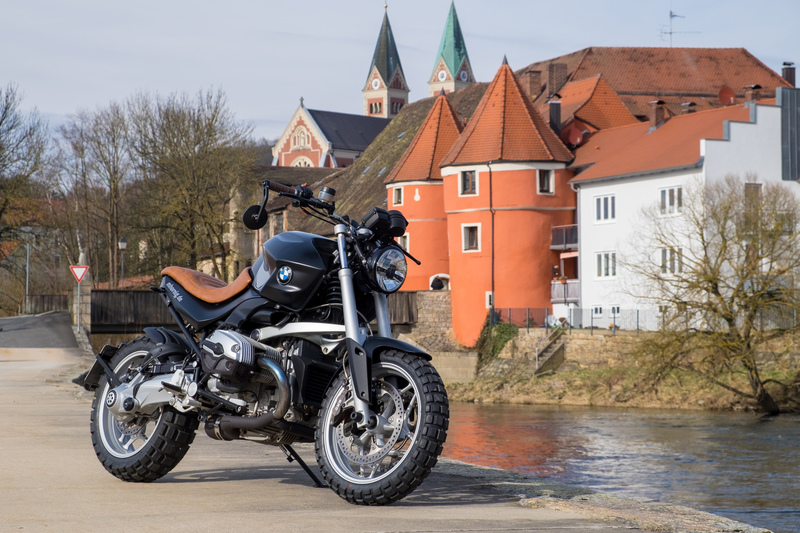 Our BMW R1200R Scrambler conversion is another unique vehicle as well as lots of the parts that we have mounted onto the Scrambler. Some parts were newly or further developed in order to meet our requirements. The conversion is intended to be used as a template or inspiration. We would be pleased about a reproduction or a development. We cannot guarantee that you will receive an approval from all Technical Inspection Agencies (in Germany: TÜV, Dekra or GÜT) with this conversion. The experiences which we made with our other conversions are reflected here. 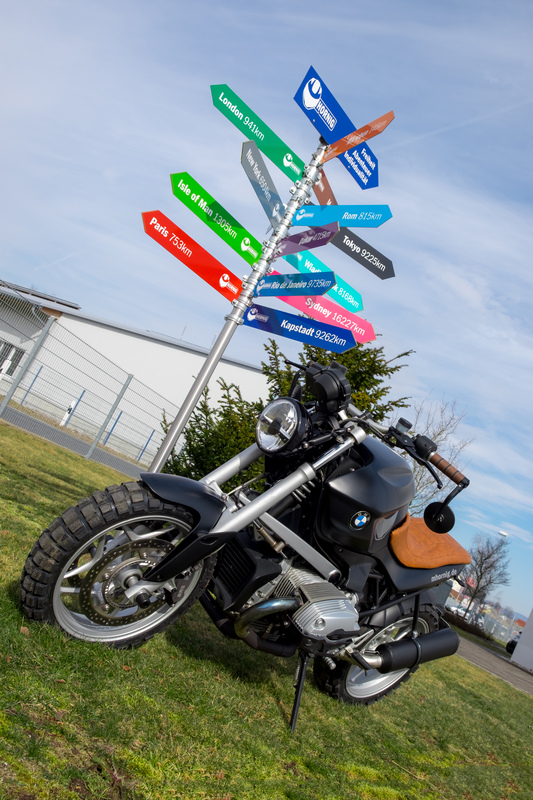 Prior to the start of the rebuilding we contacted the TÜV in Cham, Germany again to clarify whether we had to pay attention at something special at our R1200R conversion. The total conversion amounted to approximately 6.500 EUR (incl. the motorcycle) and was realized in about 45 hours. However, the sometimes difficult research and organization work and the procurement of the parts are not included in the calculation.